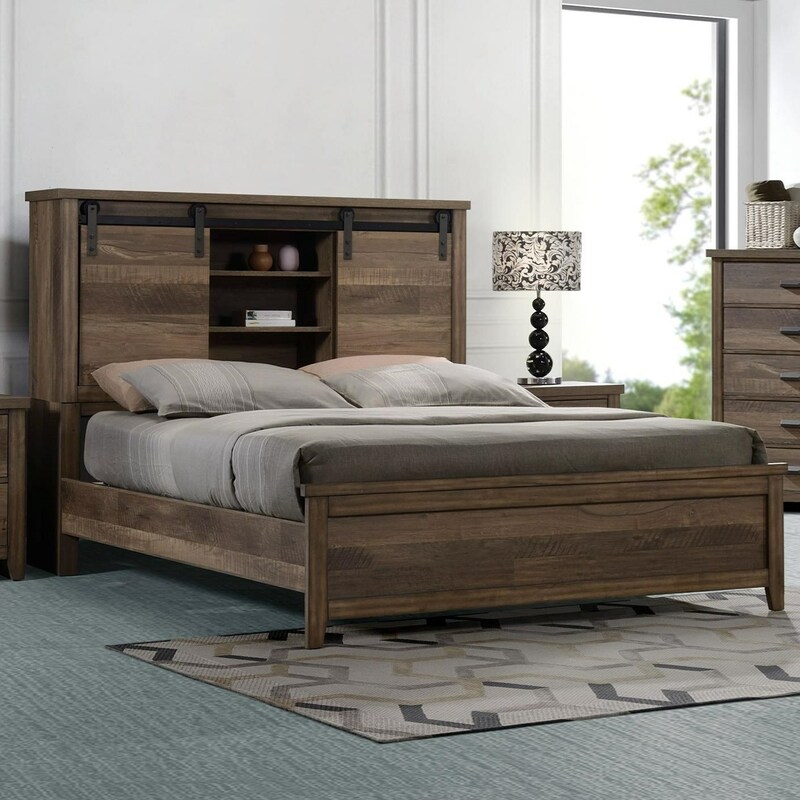 You'll love having this gorgeous Queen Bed in your bedroom for its updated take on rustic style and functionality. The piece boasts a clean case design and wood finish that pair beautifully with the black metal accents. 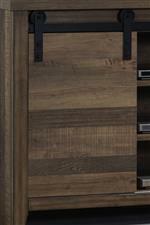 Furthermore, the headboard features two unique sliding barn doors that house shelving space behind for both convenient storage and distinct style. The Calhoun Rustic-Industrial Queen Bookcase Bed by Rooms Collection One at Rooms Furniture in the Houston, Sugar Land, Katy, Missouri City, Texas area. Product availability may vary. Contact us for the most current availability on this product. B3000-Q-HB Queen Headboard W/Barn Door 1 64.2" 16" 54"
B3000-KQ-RAIL King/Queen Rail 1 81.1" 0.7" 14.2"
B3000-Q-FB Queen Footboard Slat 1 64.2" 1.4" 18"